This midsize country style house plan features a large living room with a cathedral ceiling and tall windows for lots of light. The spacious open floor plan with convenient access to plenty of porches is ideal for family gatherings and entertaining. A well equipped kitchen with large lunch counter and adjacent to the screened porch, opens to a lovely dining room with window seat. The delightful master suite, with plenty of closet space, features French doors opening to the screened porch. In addition to the guest bedroom and bath, the ample sized study can serve as a home office or 3rd bedroom. 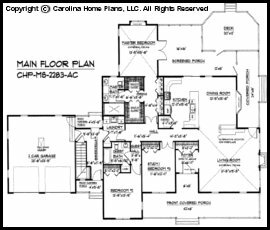 The home plan also features a 2-car garage, main floor laundry and breezeway with stairs to a full basement, (crawl space/slab option is available). 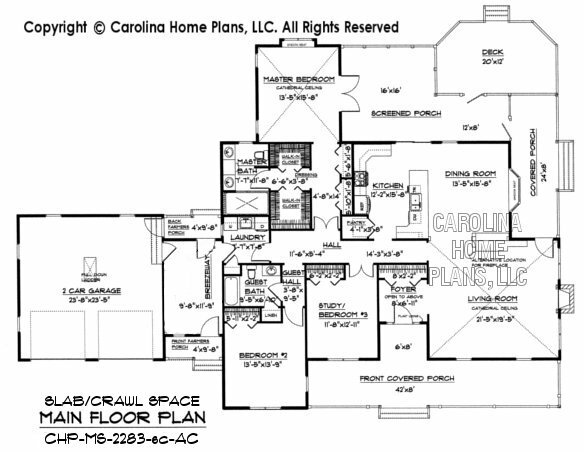 This midsize country house plan provides just the right amount of space for downsizing comfortably or moving up. 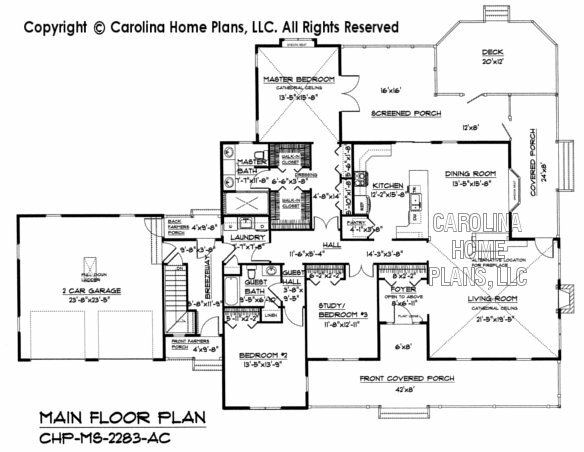 Plans are available with either 8' or 9' ceilings. Available options and pricing: See below. 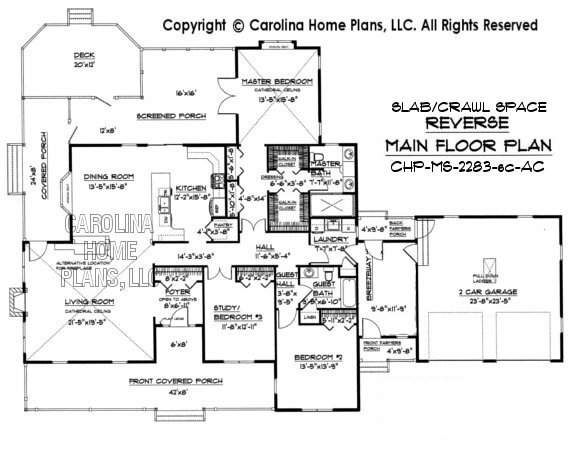 We originally designed this midsize, open floor plan, country home for a couple who had a passion for all things horse. They loved spending time outdoors and wanted an easy transition from the indoors to the abundant covered porches. 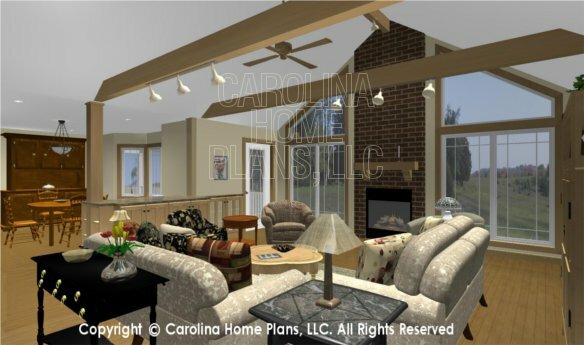 The convenient access to the screened porch from the living areas as well as the master suite was a must. 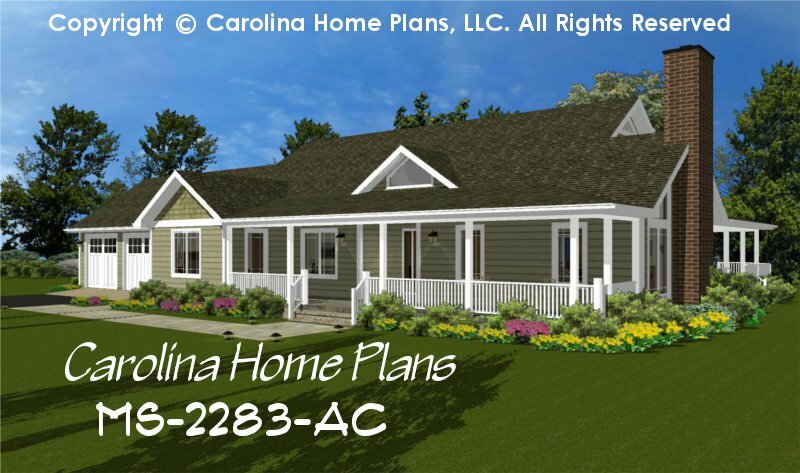 This downsizing plan afforded them just the right amount of space for visiting family and friends while allowing them the convenience of a home office and lots of porches for enjoying the outdoors. 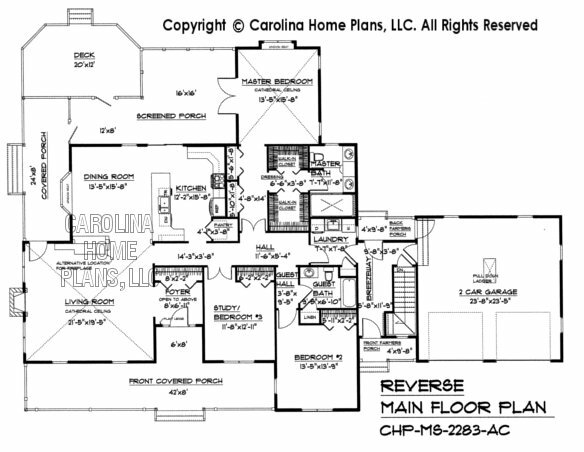 Ceiling Height Grt Rm: 14'-5" or 15'-5"
Ceiling Height Master Bdrm: 11'-5" or 12'-5"